How could this happen in a small company (let alone a large one)? It happens more times than you would think – in part due to the fact that some companies believe they are always aware of what’s in the works and a formal control process isn’t necessary. In this case, management had at least an informal internal control process. But in the haste of getting out a release before an industry event, its process was bypassed under the assumption that everyone was in the loop on the drafting review cycles. In truth, while the release had been discussed and a rough draft had been prepared, several executives had not seen the final version of what was made public and were unaware of the timing. 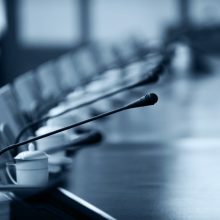 As a result, they had no time to prepare for incoming questions from board members, investors, and analysts. Moreover, critical Reg FD components were omitted and boilerplate language branding the company was inconsistent with the updated profile. Here are a few ways to avoid situations like this. Establish a process for issuing releases that specifically includes signoff from all key executives — especially those who might be in a position to respond to the release. Use it for every single release, regardless of how seemingly routine the content. Determine in advance the ideal timing for any release and have regular discussions about what it will take to hit the deadline and how it is tracking. For example, are you including another company’s name or a quote in the release? If so, you likely need to factor in time for their review and approval cycle. If it looks like a deadline will be tight, consider alternatives such as waiting a day or two, or deleting language that will be a sticking point if you’re on a deadline. Identify a single person who owns the draft and is responsible for gathering all the required input, edits and final signoffs. Based on release content and your company’s guidelines, consider including the C-suite, outside counsel, auditors, other organizations named in the release, and your IR and/or PR counsel. Identify a single person responsible for giving the “final approval.” Typically, this will be the CEO, CFO or General Counsel. Make sure this is documented before it goes to the wire service for final release. In the example I used above, the client’s marketing group gave the thumbs up for final approval, circumventing the formal process that includes the entire C-suite. Create a “safety net” that reconfirms with the internal team what is about to be made public. Our team at Westwicke is often responsible for issuing the final release. We confirm that NASDAQ or the NYSE (if required) will get an advanced copy of the release. We also confirm in an email to the internal executive team with the date/time of release with a copy of the final release attached. Internal controls are a critical part of the communication process and why we stress the importance of having procedures in place so that all messaging is consistent and meets Reg FD, etc. For a conversation about how to tighten your own process for releasing public information, reach out.